download photos from flickr users of your choice. download most interesting photos from flickr. download amazing daily proshots from Webshots (requires Webshots account). 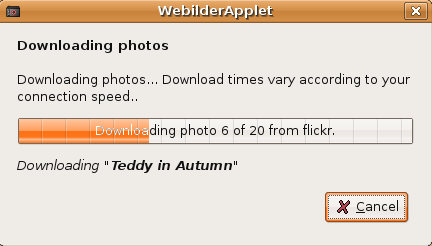 automatically download new photos for you. change your wallpaper every few minutes. 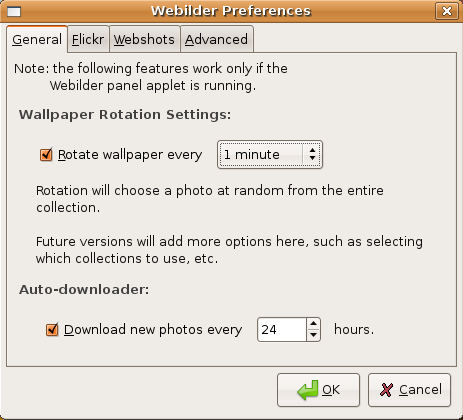 import webshots collections (wbz or wbc formats). 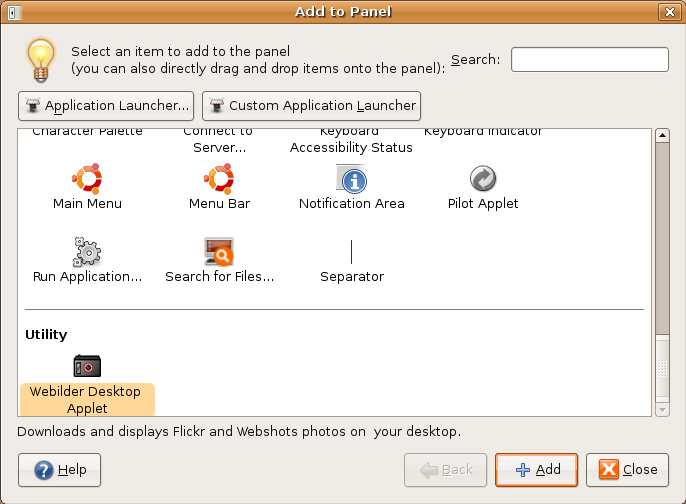 Right-click on the GNOME panel you should see the following screen here you need to choose "Add to Panel"
Once dowload finished your desktop will start refreshing wallpapers by default 5 min if you want to change this option you need to right click on Webilder on your desktop panel and select "Preferences"
any info on Dapper packages? Those on the Websterwood do not install due to dependency problems. @daisy: you have to follow all of the steps for it to work. You just haven’t added the repository yet, or if you have, you haven’t said “sudo aptitude update” then do the install command. 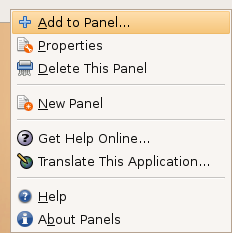 Can you not provide links to the .deb files for manual installation? Some people might prefer this to going via apt-get.